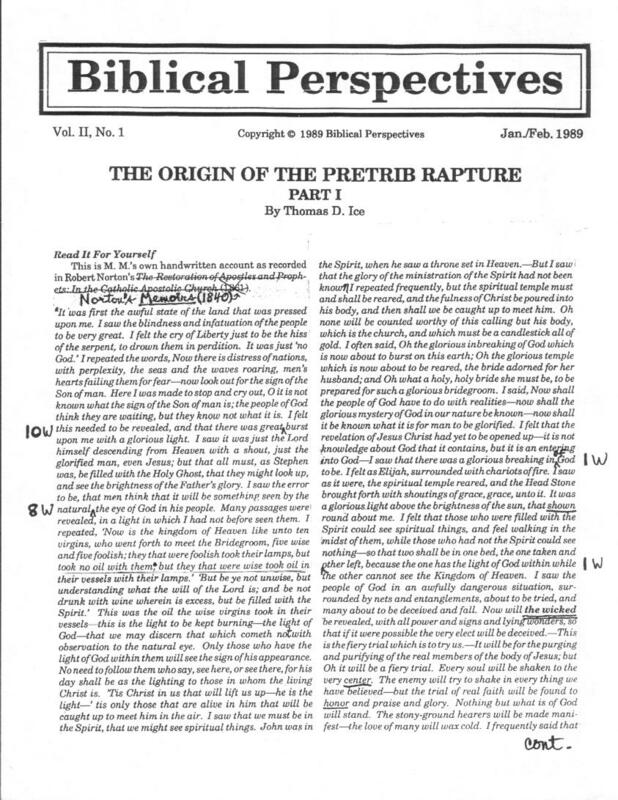 The word “rapture” does not appear anywhere in either the Old or New Testament of the Judaeo-Christian bible Rather, it is a misinterpretation of 1 Thessalonians 4:17, that has been badly translated/mistranslated over the centuries: “…and the dead in Christ shall rise first: Then we which [sic] are alive and remain shall be caught up together with them in the clouds, to meet the Lord in the air: and so shall we ever be with the Lord”. While I have argued that Saul/Paul of Tarsus never existed, and that the bible is nothing less than a cut-and-paste case of bad plagiarism, this is especially true with the “rapture” evangelicals read into one more of the letters allegedly authored by a man from Tarsus. The source for 1 Thessalonians 4:17 (επειτα ημεις οι ζωντες οι περιλειπομενοι αμα συν αυτοις αρπαγησομεθα εν νεφελαις εις απαντησιν του κυριου εις αερα και ουτως παντοτε συν κυριω εσομεθα ) is from the Gospel of Matthew 24:29–31 (ευθεως δε μετα την θλιψιν των ημερων εκεινων ο ηλιος σκοτισθησεται και η σεληνη ου δωσει το φεγγος αυτης και οι αστερες πεσουνται απο του ουρανου και αι δυναμεις των ουρανων σαλευθησονται και τοτε φανησεται το σημειον του υιου του ανθρωπου εν τω ουρανω και τοτε κοψονται πασαι αι φυλαι της γης και οψονται τον υιον του ανθρωπου ερχομενον επι των νεφελων του ουρανου μετα δυναμεως και δοξης πολλης και αποστελει τους αγγελους αυτου μετα σαλπιγγος φωνης μεγαλης και επισυναξουσιν τους εκλεκτους αυτου εκ των τεσσαρων ανεμων απ ακρων ουρανων εως ακρων αυτων), and is considered to be equal the day that the Jesus of the bible, as believed by chrestianos (not by christianos) will return in full armor, wielding a sword of destruction and death to end a battle staged at Armageddon, though possibly fought at the Valley of Jehoshaphat. 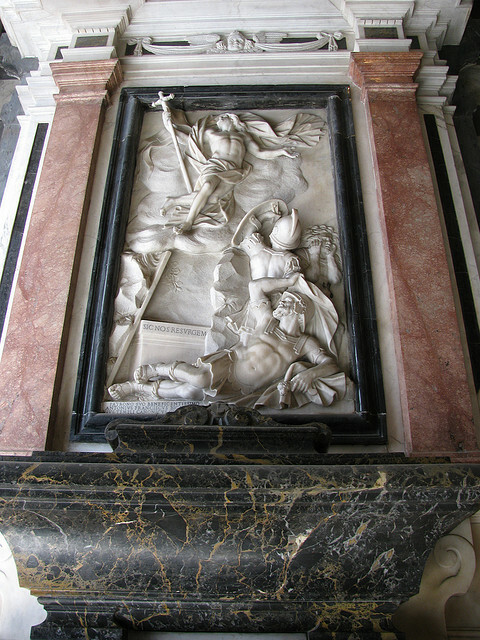 The ancient chrestianos saw the Jesus of the New Testament not as a meek and mild world savior, but as a great and wrathful general who would slaughter all dissenters and reward those who stayed true to him, were willing to die for him, and looked forward to a battle of gruesome proportions (Matthew 10:34-36). Armageddon is a Mountain (Hebrew: הַר מְגִדּוֹ‎, Har Megiddo; Ancient Greek: Ἁρμαγεδών Harmagedōn, Arabic هرمجدون, Persian آرماگدن, Late Latin: Armagedōn) where ancient mythology claims that god (for Christians: Jesus) will fight the Final Battle with Satan (Hebrew: הַשָׂטָן ha-Satan), “the accuser”–a celestial prosecutor who was numbered among the Sons of God (Job 2:1) and carried out the enforcement of his spiritual Father’s orders. discovered by Antonio Ceriani in the Biblioteca Ambrosiana in Milan in the mid-nineteenth century and published by him in 186 (chapter 7 discusses the End of Days); the handwriting and word choice does not match any of the texts from antiquities and it should be discarded, in much the same manner as the various eighth and ninth century CE copies of the works of Tacitus, since none of the originals exist today that can be compared fully–but then there is next to nothing–only fragments–of the bible that date back somewhat near the first two centuries, with the oldest being mere fragments of the Gospel of John written in the late second to third centuries CE–Matthew, Mark and Luke did not even exist until later). 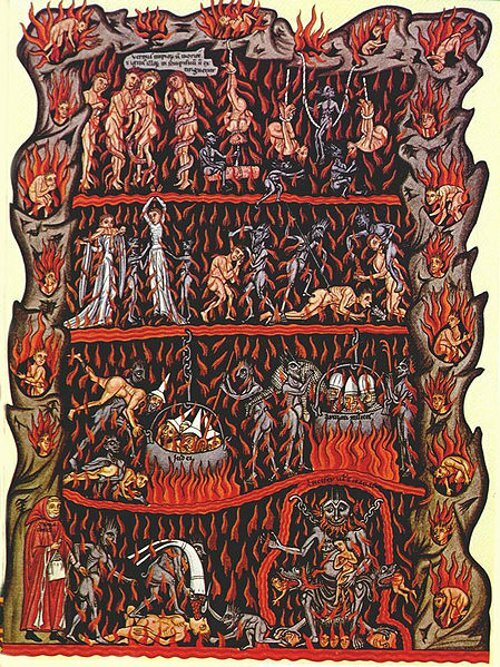 The Devil is a relatively modern invention: the title (it is not a name) descends from Middle English devel, from Old English dēofol, borrowed from an early Germanic source that plagiarized the Latin diabolus that comes from the Greek diabolos (διάβολος) “slanderer” (contemporary Greek has slander as συκοφαντία that actually should be translated as calumny). Diabolus and Dæmon are distinct in the ancient world, but became synonymous with the poor translation of the Vulgate bible. sons after the flood. 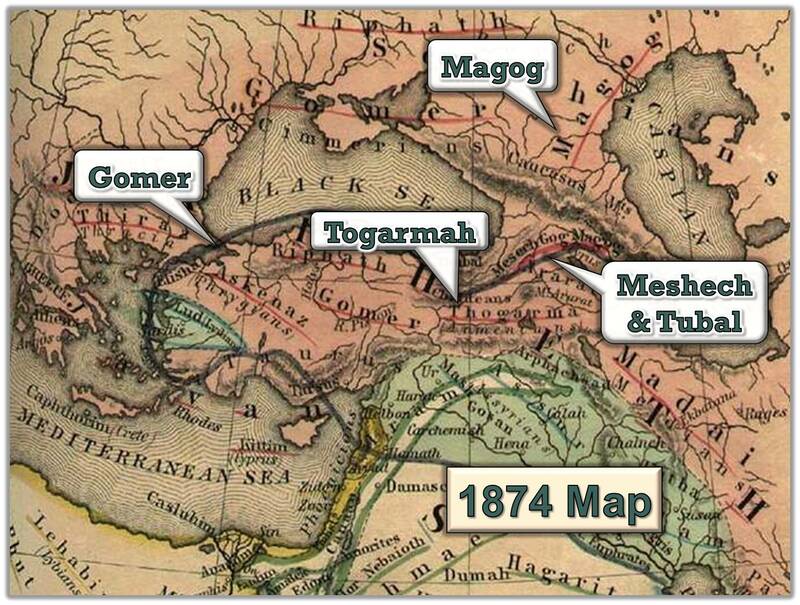 Genesis 10:2 notes: The sons of Japheth: Gomer, Magog, Madai, Javan, Tubal, Meshek and Tiras ( בְּנֵי יֶפֶת גֹּמֶר וּמָגֹוג וּמָדַי וְיָוָן וְתֻבָל וּמֶשֶׁךְ וְתִירָס׃ ). Compare 1 Chronicles 1:5 and Ezekiel 38:2 (1 Enoch, following Ezekiel, states that the final battle will be a war waged by the Medes and Parthians (Persians) who will attack Jerusalem and in the bloodsoaked battle and amid the carnage that was to be “a joyful spectacle for the favor of the gods” be destroyed; read: Bøe, Sverre (2001). Gog and Magog. Ezechiel 38-39 als Vortext für die Offenbarung 19,27-21 und 20,7-10 [Gog and Magog: Ezekiel 38-39 as pre-text for Revelation 19,17-21 and 20,7-10]. Tübingen: Mohr Siebeck, p. 178, on-line at http://books.google.com/books?id=vettpBoVOX4C&pg=PA91&dq=Gog+Magog+Gyges&hl=en&ei=19s0TbqqEYmIvgPF7JnqCw&sa=X&oi=book_result&ct=result&resnum=1&ved=0CCMQ6AEwAA#v=onepage&q=Gog%20Magog%20Gyges&f=false). The lust for blood and violence has always been universal in all cultures from the Middle East through the “frozen lands” of the north. The word Armageddon appears only once in the Greek New Testament (Revelation 16:16) as discussion of past wars was not the purpose of the New Testament that was to refocus Hebrew attention away from battle (“messiah” means “warrior”) to a more eschatological (end of all battles and of time) interpretation. 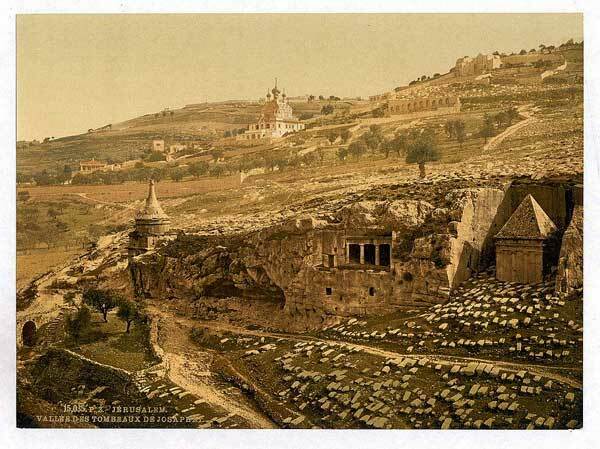 Because of its similarity to preparedness for battle as promised by the Prophets, the various writers of Revelation may have incorporated a refined (Hellenized) version of the Hebrew har məgiddô (הר מגידו), meaning “Mountain of Megiddo”. Far from being a mount or mountain har was actually a Tel: a small mount or hill on which ancient forts were built to guarded the main highway (the Via Maris), that connected Ancient Egypt with Mesopotamia and over which numerous armies passed, giving further support to the martial fervor of the chrestianos (a group of Alexandrian Jews who would relocate to Rome by the first century CE in anticipation of a warrior messiah). Tel Megiddo was the location of many decisive battles in ancient times including one in the 15th century BCE ( fought between Egyptian forces under the command of Pharaoh Thutmose III and a large Canaanite (pre-Hebrew) coalition under the king of Kadesh; Thutmose III reestablished Egyptian dominance, leading small nations worried about another fight at the same location; cp. Eric H. Cline (May 2002). 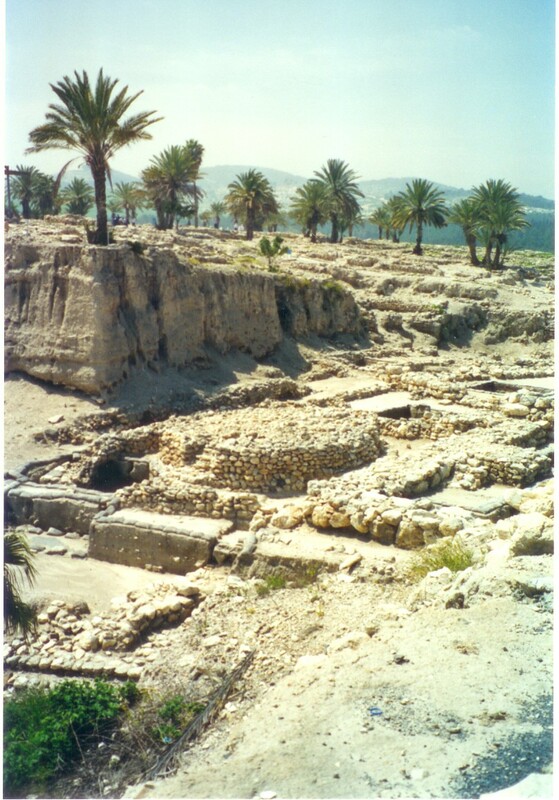 The Battles of Armageddon: Megiddo and the Jezreel Valley from the Bronze Age to the Nuclear Age. University of Michigan Press, and cf. Paul K. Davis (1999), 100 Decisive Battles from Ancient Times to the Present: The World’s Major Battles and How They Shaped History. Oxford: Oxford University Press, p. 1) and one in 609 BCE (with Necho II of Egypt leading his army to Carchemish to fight with his Assyrian allies against the Babylonians at Carchemish in northern Syria. 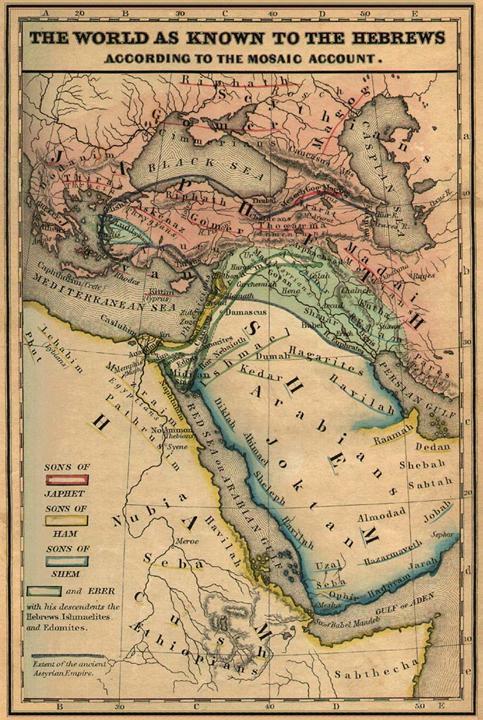 To give battle against the Babylonians required passing through territory controlled by the Kingdom of Judah and Necho requested permission from its king, Josiah. Josiah refused, and most likely stood with the Babylonians and in the battle that took place Josiah was killed; read: Herodotus, Histories 4:42 2, Kings 23:29-30 and II Chronicles 35:20-35. cp. Cline, Eric H. (2000), The Battles of Armageddon: Megiddo and the Jezreel Valley from the Bronze Age to the Nuclear Age, University of Michigan Press). From this account and similar records, with the advent of the Apiru (Hebrews) from India, would filter south into the Middle East the Scandinavian legend of a Tree of Life that was not to have “its fruits eaten by mere mortals, nor by the workers of the land”. It is from the far north that we find a special tree in the center of a garden that was the center of the earth and would produce food so special that it was only for the grounds’ keeper–the godhead who would oversee the work of mortals molded out of red earth: Adamah. and brimstone, or a more fiendish version of the Greek Hell) where the Beast and the False Prophet (a term that appears in The Sermon on the Mount in Matthew 7:15–23; cp. Deuteronomy 13:1–5 and the penalty for being a false prophet–as determined by the priests–is death, as decreed in per Deuteronomy 18:20) have been since before the 1,000 years. To make clear that Jesus was not the False Prophet as many believed, the writers of the Letters of John argue that Jesus alone would protect them (1 John 1:18 f, 2:7-8, etc.). All of the interjections of the name of Jesus do not appear anywhere in relationship to the concept of a rapture (or being caught up and snatched away: ἁρπαγησόμεθα or harpagēsometha). Jesus never used the term. The word “rapture” is neither based on the Koine Greek text of the Bible, nor found in the Attic where it is a form of κατοχή or ownership. If κατοχή is the case, that would best be interpreted as meaning that people are mere possessions and have no free will at all; that people are toys and items that are at the whim of a god, not beloved by a god. Even the Latin rapere means “to seize” or “to steal” and with this the individual has neither value nor importance but is a commodity and follows more of the ancient Arabic influence where people are subjected to (islam) the whim of a tyrant. 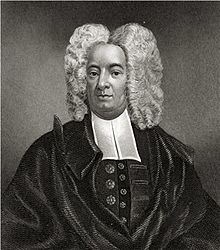 The concept of a rapture is a relatively recent novelty, an invention by a father and his son: Increase and Cotton Mather. Their line of argument actually reflects a strong ancient Egyptian idea, where Ra determines the fate of each individual. 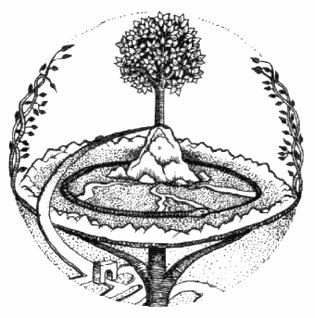 The Mathers argued in sermons and in letters that believers would be caught up in the air, followed by judgments on the Earth, and then the millennium (Kyle, Richard G (1998). The Last Days Are Here Again: A History of the End Times. Grand Rapids, Michigan: Baker. pp. 78–79, and Boyer, Paul (1992). When Time Shall Be No More: Prophecy Belief in Modern American Culture. Cambridge, Mass: Belknap Press of Harvard University Press. p. 75). By the end of the eighteenth century “the Time of Tribulation” was introduced, and with it the grotesqueness of Rapture winnowing out the few from the many, coming as a misreading of Matthew 24:21 (εσται γαρ τοτε θλιψις μεγαλη οια ου γεγονεν απ αρχης κοσμου εως του νυν ουδ ου μη γενηται ) following Ezekiel 5:9 and Daniel 12:1, both being inspired by insipid Babylonian theology. While Baptists (Marotta, Frank (1995). Morgan Edwards: An Eighteenth Century Pretribulationist. Morganville, NJ: Present Truth Publishers), Jehovah’s Witnesses, and Adventists and several pentecostal movements use this passage (along with the two aforementioned passages in the Old Testament) to proclaim a long period of suffering, the text does not state that. There is no time frame, no time line, no description of the suffering–it is an over-reaction to one line badly translated because of careless hands in medieval scriptoria. 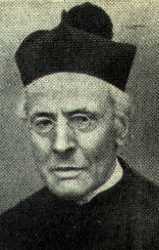 Roman Catholic clergy also clung to this method of mind control, as seen in the spurious and poorly organized writing of Emmanuel Lacunza (1731–1801), a Jesuit priest, born in Chile but moved to Italy in 1767, and prevaricated the truth by claiming to be a converted Jew by the name of Juan Josafat Ben Ezra. He wrote, in Spanish, a lengthy apocalyptic work entitled La venida del Mesías en gloria y majestad [The Coming of the Messiah in Glory and Majesty] that was not published until 1811, ten years after his death. 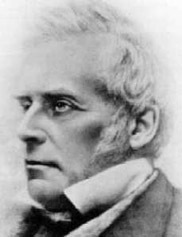 1800 – 29 April 1882), an Irish lawyer turned Anglican preacher. 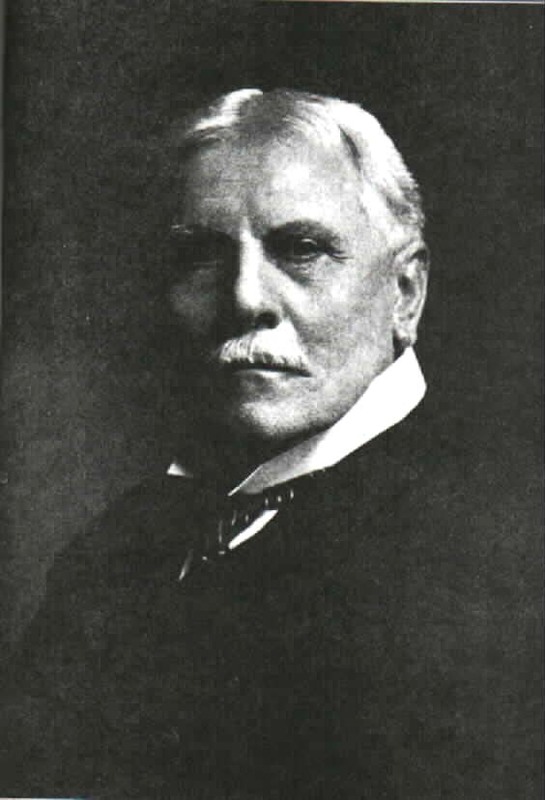 Darby developed a method of biblical interpretation called dispensationalism and became “the father of the rapture doctrine.” He was the first to develop a theology that incorporated the teaching that Jesus would return secretly (His “second” coming) to rapture His true followers, leaving the rest behind to be ruled by an evil antichrist for seven years, and then return again (His “third” coming) in a visible, glorious coming to destroy antichrist, save those who were converted during the seven-year tribulation, and establish His own kingdom. Clarendon Press; some have found her “comments” to be demonic: Wilkinson, Paul Richard (2007). For Zion’s Sake: Christian Zionism and the Role of John Nelson Darby. London: Paternoster, p. 192-193; MacPherson acknowledges that Darby knew this. And MacPherson attempted to argue that Darby knew the demonic origin of the rapture and incorporated it into his theology anyway. MacPherson also argued that there existed a conspiracy among dispensationalist leaders in order to “cover up” the fact that Darby supposedly borrowed the idea from MacDonald, ibid., pp. 151-154) in contradiction of Matthew 24:36. The Tribulation is to be, according to those who believe in a “rapture” a relatively short period of time. During this period of time, those who do not chose to follow the Christian God before the Rapture will be left behind and experience worldwide hardships, disasters, famine, war, pain, and suffering. This act, considered a “mercy of the true God” will wipe out more than 75% of all life on the earth before the Second Coming takes place so as to purify the world for the “Spotless Lamb of God”, a thesis that follows the earliest Tribulationists who proclaimed that they would prepare themselves for the Second Coming in 70 CE–the majority being chrestianos: those seeking a warrior-savior who would create a new empire over the ruins of Rome. While many evangelical extremists, like Hal Lindsey (author of The Late Great Planet Earth) have attempted to calculate the Second Coming and how long the Tribulation will last before the Rapture, their calculations are based on various non-agreeing mathematics in the Bible. For example: In the Old Testament there are to be 1290 days of tribulation according to Daniel 12:11: וּמֵעֵת הוּסַר הַתָּמִיד וְלָתֵת שִׁקּוּץ שֹׁםֵם יָמִים אֶלֶף מָאתַיִם וְתִשְׁעִים׃, but 1260 days if calculations are to be taken from the New Testament: Revelation 11:3: και δωσω τοις δυσιν μαρτυσιν μου και προφητευσουσιν ημερας χιλιας διακοσιας εξηκοντα περιβεβλημενοι σακκους. 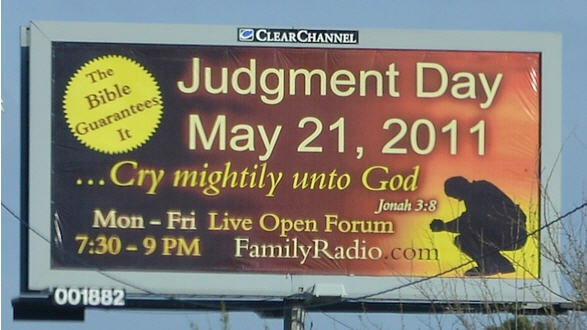 Among the many cults of Christianity, the Rapture has caught the attention of the fundamentalist fanatical fringe groups. 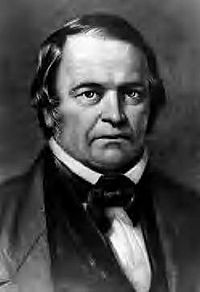 Michael William Miller (1782-1849), an American Baptist preacher who was worried about mortality and an afterlife and, after reflecting upon his own mortality followed the recent deaths of his father and sister, claimed that Jesus was coming back in 1844 (basing his calculations on Daniel 8:14, not realizing that Daniel had not been in the original Old Testament and that it was an ancient Babylonian myth) in a flurry of fire (this was based on the seventh seal being finally broken, and an angel hurling a golden censer, filled with fire, towards the earth as written in (Revelation 8:1-5). until the Resurrection of the Dead to stand for a Last Judgment before the God Osiris, using Genesis 3:22-24 that teaches that human beings will naturally die without continued access to God’s life-giving power; this annihilationistic ideology argues, further, that the souls of the wicked will be destroyed in Gehenna (often translated “hell”), an atoning ministry of Jesus Christ in the heavenly sanctuary (it is the 24th of the 28 Fundamental Beliefs of the Adventists (like most non-traditional Protestants, most of the Adventist theology is Old Testament based, as with this example and the Adventist citation of Heb. 8:1-5; 4:14-16; 9:11-28; 10:19-22; 1:3; 2:16, 17; Dan. 7:9-27; 8:13, 14; 9:24-27; Num. 14:34; Eze. 4:6; Lev. 16; Rev. 14:6, 7; 20:12; 14:12; 22:12). James White and Ellen G. White wrote extensively about this concept when they purified and finalized the formation of the Adventist church. 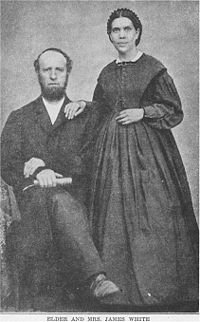 Along with other Sabbatarian Adventist leaders, such as Joseph Bates Ellen Gould White and her husband James White, formed what is now known as the Seventh-day Adventist Church. Ellen White had frequent “visions” and claimed each vision as a biblical gift of prophecy as outlined in Revelation 12:17 and 19:10, equating herself to be nearly on par with Jesus of the New Testament and a modern-day Apostle. Having been struck in the head by a rock thrown by another student when she was nine years of age, Ellen Gould White wrote about creationism (as the literally true way the earth was formed), agriculture, theology, evangelism, Christian lifestyle, education and health (cf. Ellen Gould Harmon White (1860). My Christian Experience, Views, And Labors In Connection With The Rise And Progress Of The Third Angel’s Message. Battle Creek, MI: James White, 1860; her visions made her a sought-after preacher, See: Shaw, Horace (1959). Doctoral dissertation, “A Rhetorical Analysis of the Speaking of Mrs. Ellen G. White, A Pioneer Leader and Spokeswoman of the Seventh-day Adventist Church” (Michigan State University), p. 282f). Adventists argue that Jesus was a High Priest in the Hebrew Temple who provides cleansing for human sins by the sacrificial shedding of his blood), and an “investigative judgment” that commenced in 1844. Adventists further cite select verses allegedly written by Saul/Paul of Tarsus, such as 1 Timothy 6:15-16 that reads: “God… alone is immortal,” coupling it with 2 Timothy 1:10 where the authors of the Second Letter (now proven to be written after the fourth century CE) writes that immortality only comes to human beings as a gift through the gospel. The Jehovah’s Witnesses have been predicting the end of the world since their beginning. 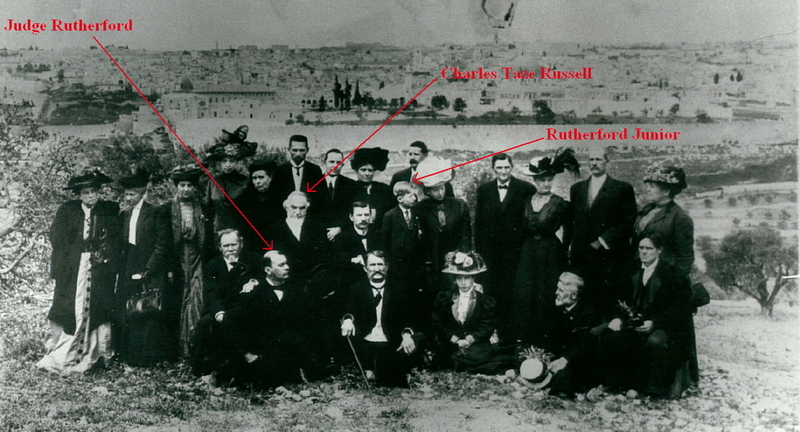 Jehovah’s Witnesses (JWs) was formed as Zion’s Watch Tower in 1879 by Charles Taze Russell. Russell rejected the traditional (orthodox) concept of Hell, the idea of an afterlife (the soul sleeps after death which is more in keeping with the early Hebrews than Christianity) for those who are not members, there is no salvation outside of membership, and are to avoid music, television, movies, drinking alcohol, smoking, sports, school activities such as clubs, and girl/boy scouts and similar groups. No crosses are to be displayed (they reject the deity of Jesus who was the physical incarnation of the archangel Michael), organ transplants and blood transfusions are expressly forbidden. The Jehovah’s Witnesses accept the Rapture, based on Matthew 24:41-42, and assert that Jesus came to prophecy his kingdom to be of this earth, and to give his life so that he could be resurrected to prepare to rule his kingdom made up of believers from heaven. According the Jehovah’s Witnesses, the body of Christ is a very select group of people. It ultimately will consist of 144,000 and all others will perish. What the Jehovah’s Witnesses forget is the prophecy they quote is about the 144,000 who are already in heaven (12,000 from each of the 12 Hebrew tribes)–so there is no room for them or anyone else. What is ignored is Revelation 7:9, 10, 14. Even the number is suspect, as 144,000 is common in nearly all religions (for example, it is 1 b’ak’tun on the Mayan calendar), it is a prime number for the ancient Egyptians literally passing from this life to an afterlife, and it is a part of ancient Canaan (Attridge, Harold. W., and R. A. Oden, Jr. (1981), Philo of Byblos: The Phoenician History: Introduction, Critical Text, Translation, Notes, CBQMS 9 Washington: D. C.: The Catholic Biblical Association of America), Samaria, and Akkadian civilizations (Moscati, Sabatino (1956, 1960, 1962, 2001). Il profilo dell Óriente mediterraneo [Torino], (1956) translated as Face of the Ancient Orient: Near Eastern civilization in pre-classical times Mineola, N.Y. : Dover Publications, p. 174: “The first, called ‘Kingship in Heaven’, tells how this kingship passes from Alalu to Anu, … was king in heaven, Alalu was seated on the throne and the mighty Anu, first among the gods”). 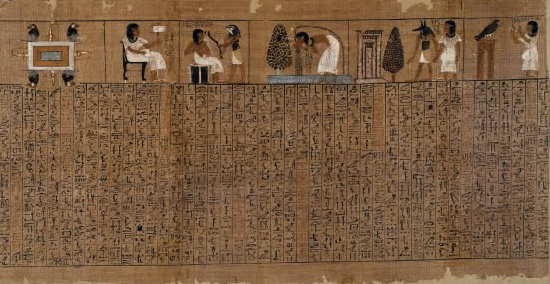 The ancient Egyptians also had a rapture, when each person was called individual, or an entire community fell to a natural calamity, after which the gods would determine the fate of the dead and undead. 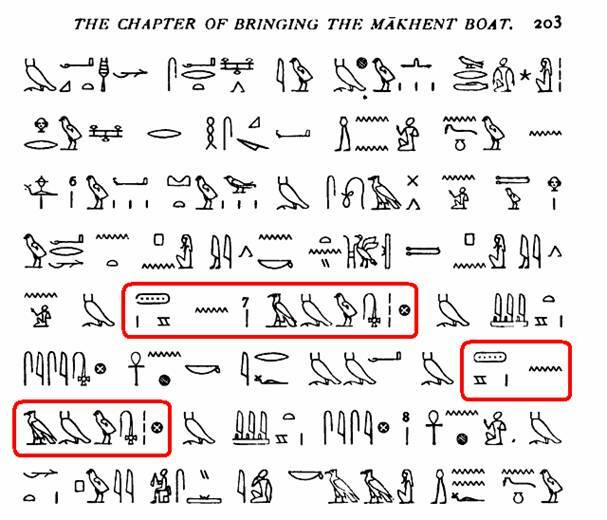 When a person died, upon arriving in the realm of the Duat (Land of the Gods), the deceased had to pass through seven gates, breaking seven seals in order to pass to the next plateau. 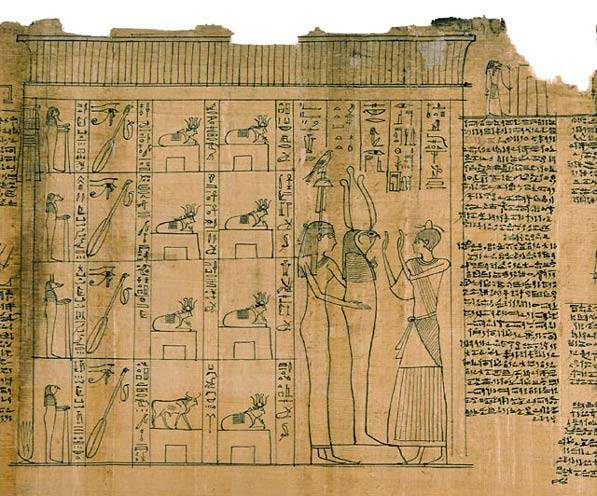 The Duat is sometimes described as the ‘reversed world’ or ‘inverted precinct’, and in the Pyramid Texts we read: ‘O Osiris the King, I am Isis; I have come into the middle of this earth, into the place where you are’. 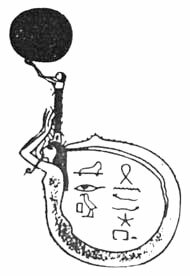 Osiris was the Egyptian phoenix, which was ‘the bringer of the life-giving essence, the hikê, a concept akin to our idea of magic, which the great cosmic bird carried to Egypt from a distant and magical land beyond the earthly world.’ This was the ‘Isle of Fire’, ‘the place of everlasting light beyond the limits of the world, where the gods were born or revived and whence they were sent into the world’. This is a reference to the Duat. The Duat (or Hidden Place) was sometimes conceived as a completely closed “Circle of the Gods” formed by the body of Osiris. At the final level, the dead would bow before forty-two gods who listened to the confessions of the deceased who claimed to be innocent of crimes against the divine and human social order. 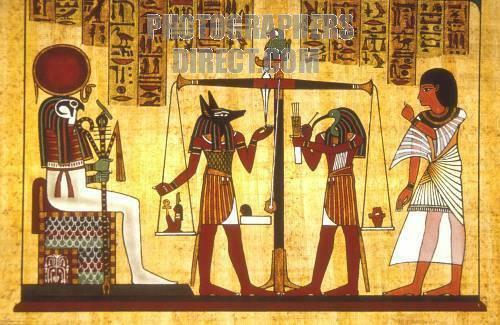 The person’s heart was then placed on a scale, counterbalanced by a feather that represented Maat, the goddess of truth and justice. The weighing of the heart was overseen by the jackal-headed god Anubis, and the judgement was recorded by Thoth, the god of writing. If the heart was equal in weight to the feather, the person was justified and achieved immortality. If not, it was devoured by the goddess Amemet. This meant that the person would not survive in the afterlife. When a pharaoh passed the test, he became one with the god Osiris. He then travelled through the underworld on a solar bark, accompanied by the gods, to reach paradise and attain everlasting life. Where is there a difference between this and the concept of death and afterlife in Christianity? How much destruction of lives, fortunes, property are involved with the myth of a rapture done over the years? Like early twentieth-century Jehovah’s Witnesses and Adventists, He has also predicted earlier failed-to-appear judgment days on May 21, 1988, and September 7, 1994 (Radio host says Rapture actually coming in October – (UK) Globe and Mail. May 23, 2011, and Nelson, Chris (18 June 2002). 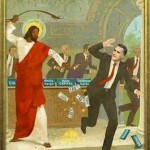 “A Brief History of the Apocalypse; 1971 – 1997: Millennial Madness” on-line at http://www.abhota.info/end3.htm, and International Business Times, “Harold Camping Says End did come May 21, spiritually; Predicts New Date: October 21” on-line at http://au.ibtimes.com/articles/150707/20110524/harold-camping-says-end-did-come-may-21-spiritually-predicts-new-date-october-21.htm). Camping’s failed prophecy, that reverberated all around the world and even had evangelicals in Perú preaching the firey end of the planet on local television, are criminals who have destroyed life and limb of many, causing death and serious injury to true believers. In California, a woman named Lyn Benedetto was one of millions who heard Camping’s message. A bible-totting, bible-believing, self-taught bible expert fervently believed the prophecy of Camping and became concerned that her daughters would suffer terribly in the coming apocalypse. As if she were the mythological Abraham of Genesis who was commanded by a mericless deity to slay his son, Lyn Benedetto forced her daughters, 11 and 14, to lie on a bed and then cut their throats with a box cutter. Benedetto then went further than the old man from India, for unlike Abraham (Brahama), Benedetto then tried to kill herself before the police arrived. Rather than the rapture coming, the police pushed into her home and arrested the out-of-control mother and all three survived without the interference of a god who was unconcerned about the event. 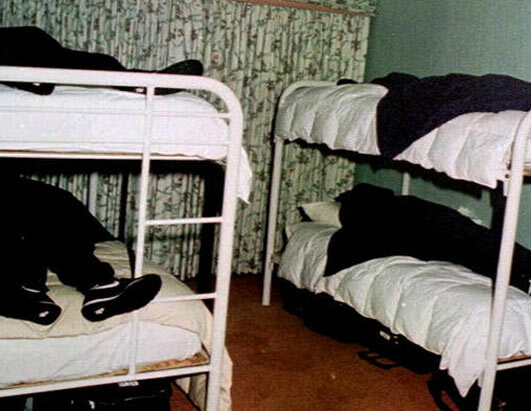 On September 6th 1994, a group of [Camping’s] followers dressed up for the Sabbath and filed expectantly into a war veterans’ building in Alameda, California. They prayed and held their open bibles to the skies, but nothing happened. Fifteen years later, the explanation of their leader that he simply got his sums mixed up is generally accepted. The god of Camping was indifferent to the suffering of others who believed firmly in the rapture–one predicted for thousands of years, each time not to occur. The prophecy of the 89-year-old Camping wrecked havoc in the poorest nations on this planet. 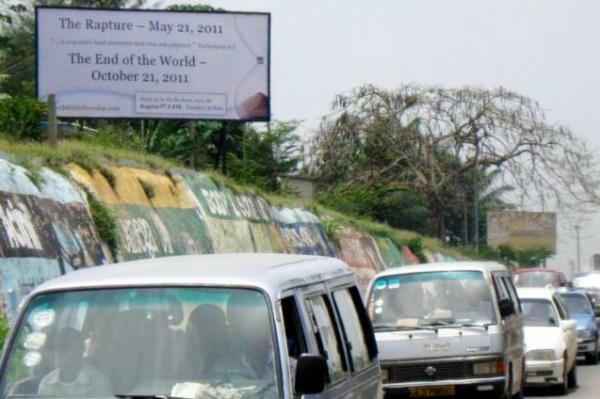 In Ghana, cars were tailgating to get away from the rapture as if it was an option (http://www.thedailymaverick.co.za/article/2010-05-21-its-all-over-in-a-year-may-21st-2011-doomsday-cult-rocks-on). 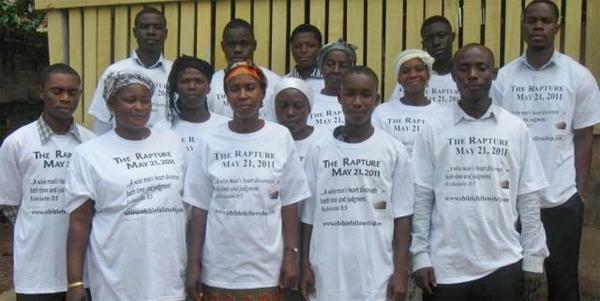 Nigeria Christians spend money difficult to obtain to buy billboards proclaiming the Rapture. 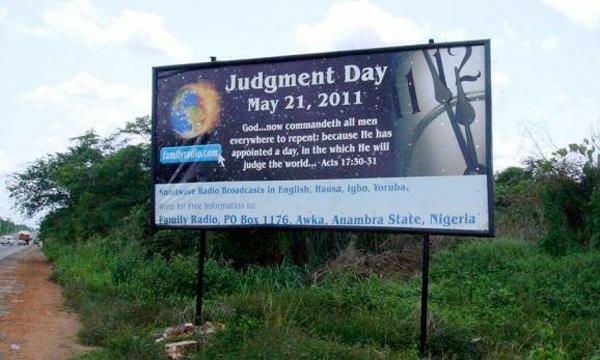 In Nigeria, full-billboards were sponsored by fundamentalists Christians who worried that they would not be among the elect because of their lethargy and slowness in “killing the gays.” Prayers to be “swept up” were more common that prayers begging for protection, and when May 21 passed without incident, those determined to “root out evil” became more determined to destroy sin in their nation so that only “the pure of heart” would survive untainted by the existence of homosexuals who are equated with The Devil. An elderly man in Taiwan reportedly killed himself on May 5 ahead of the Rapture by jumping out of a building. 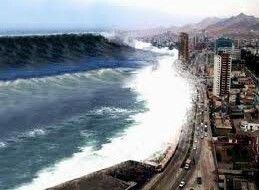 The dedicated Christian had heard that doomsday was imminent, and had taken recent earthquakes and tsunamis as early warning signs, for natural phenomena such as the movement of tectonic plates, toronados and heavy rains has long been considered proof that god is angry and the end is near. 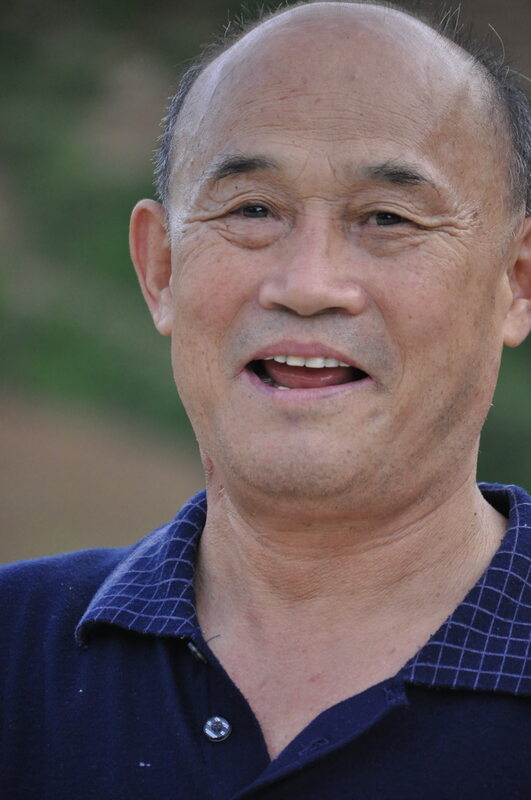 “Wang Laoshi” or Master Wang, a local fortune teller, tried to surpass Harold Camping–at an earlier date–by taking the Rapture a step further: he’s predicted that a powerful earthquake will virtually destroy Taiwan on May 11th, 2011 by god ripping Taiwan into two separate islands by sending a devastating tsunami against the island nation. A small band of believers are so convinced by the accuracy of his fortune telling that began building a series of fallout shelters to protect themselves from the coming tsunami. ( http://tw.video.news.yahoo.com/video/lifestyle-19458046/14-25050632 and http://www.la-fin-du-monde.fr/2011/05/un-prophete-taiwanais-annonce-la-fin-du-monde-pour-le-11-mai-a-10h42-et-37/). Unlike the USA that allows unbridled free speech even if it is harmful to the safety and well-being of its citizens, Taiwan is not that liberal. After Wang’s outrageous prediction, more than 100 shelters converted from cargo containers were being built in Puli, a town in the county. Wang had advised people to stay in cargo containers, which he said would be safer than regular buildings once the alleged imminent catastrophe happened, according to local media reports. The government opined that Wang “could also be violating the Social Order Law by spreading rumours to cause public panic”. Fraud convictions carry a maximum five-year jail term while breaking the law on social order is punishable by a fine of up to Tw$30,000 ($1,000). 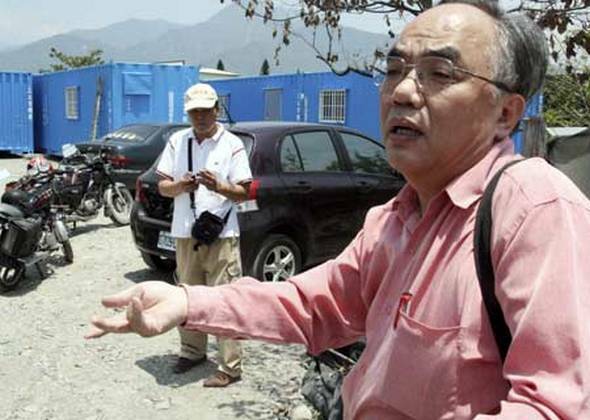 Taiwan’s weather bureau on Thursday also warned that Wang risked a fine of up to Tw$1 million for issuing unauthorised disaster warnings on his blog — remarks Wang later removed (read: http://news.yahoo.com/s/afp/20110429/od_afp/taiwandisasteroffbeat_20110429044555). It is the mythology that the ultra-conservative groups, such as the Tea Party in the USA, thrive on in their drive to turn each nation into a nation of believers while destroying individual incentive and efforts. 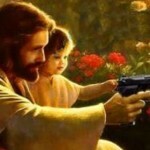 Today, the Tea Party, is moving rapidly with millions from the Koch Brothers of Kansas to “bring back” Christianity to the classroom, and backward states such as Texas, Iowa, Ohio, New Jersey, and so forth are digging up the fabrication that the USA is a “Christian Nation” (first articulated by US Supreme Court Sandra Day O’Connor). The mass media was saturated by other unconfirmed reports of doomsday-related suicides around the world as well. They filtered into the Associated Press from Russia, Ethiopia, and elsewhere, with the illiterate and undereducated being the bulk of those confused and willing to seek death over not being swept up in the rapture with the few, the elite of god, to a new life. This was not the first time that failed doomsday predictions have led to tragedy. The most famous pre-apocalypse suicides in recent times occurred in 1997 when the Heaven’s Gate Christian UFO group came to believe that the comet Hale-Bopp was a sign that Jesus was returning, based on the fantasies in the Book of Revelation plagiarized from ancient Egyptian, Akkadian, Etruscan and other sources that earlier had declared the world would end soon. Heaven’s Gate was an American UFO religion that believed that flying saucers would take those who left their bodies on earth would be transported to a better place in space. The group was based in San Diego, California. It was founded and led by Marshall Applewhite (1931–1997 who was the oldest to commit suicide) and Bonnie Nettles (1928–1985, whom was his nurse after having a heart attack; he saw himself and Bonnie as “The Two” as the two witnesses recorded in the Book of Revelation 11:3, and determined they were destined for salvation). On March 26, 1997, in a period when Comet Hale-Bopp was at its brightest, police discovered the bodies of 39 members of the group who had committed suicide in order to reach an alien aircraft which was supposedly following the Hale-Bopp comet. This prompted copy-cat resurgency of rapture radicals demanding an immediate preparation for the Final War and gave credence to Camping and others, encouraged in part by scripture but basically by radio talk shows and evangelist-controlled television programs, that led to fundamentalist fanaticism which created a stir especially in poor Latin American and Asian nations pushed by Biblical illiterates such as Pat Robertson (700 Club), Pentecostal preachers preying on the poor while either working fulltime jobs or serving as legislators in state legislatures, and the nationally registered organized hate group American Family Association. 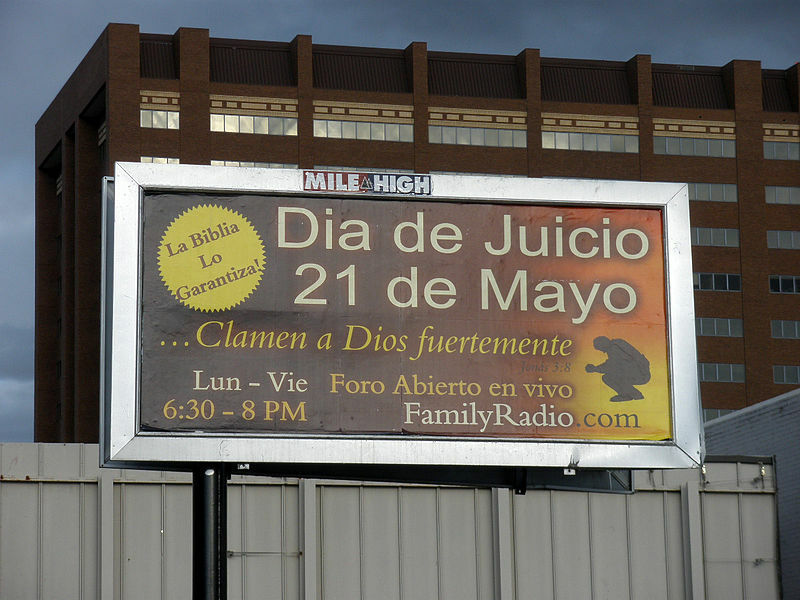 In Perú, where nearly half of the programming is controlled by televangelists who preach Old Testament hate, groups gathered to witness the rapture, many prepared to kill themselves if they were not a part of the elect, with Jehovah’s Witnesses passing pamphlets to the literate but uneducated in open-air markets and on street corners. This is the price for attempting to read an ancient myth and give it current coinage. 5 comments to Is the Rapture coming? 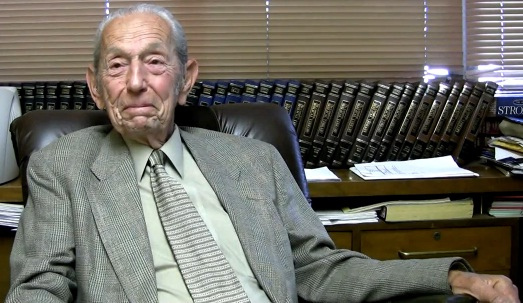 In an interview with Harold Camping a couple of days ago (May 22 or 23) he expressed his disappointment in the fact that he miscalculated. His revised figures give us until Oct 21. I am so relieved! Many are unaware that before 1830 all Christians had always viewed I Thess. 4’s “catching up” as an integral part of the final second coming to earth. In 1830 this “rapture” was stretched forward and turned into a separate coming of Christ. 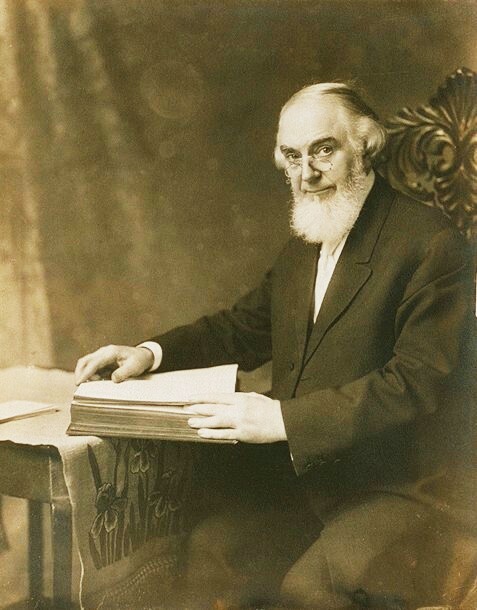 To further strengthen their novel view, which the mass of evangelical scholars rejected throughout the 1800s, pretrib teachers in the early 1900s began to stretch forward the “day of the Lord” (what Darby and Scofield never dared to do) and hook it up with their already-stretched-forward “rapture.” Many leading evangelical scholars still weren’t convinced of pretrib, so pretrib teachers then began teaching that the “falling away” of II Thess. 2:3 is really a pretrib rapture (the same as saying that the “rapture” in 2:3 must happen before the “rapture” [“gathering”] in 2:1 can happen – the height of desperation!). Other Google articles on the 181-year-old pretrib rapture view include “Famous Rapture Watchers,” “Pretrib Rapture Diehards,” “X-Raying Margaret,” “Edward Irving is Unnerving,” “Thomas Ice (Bloopers),” “Walvoord Melts Ice,” “Wily Jeffrey,” “The Rapture Index (Mad Theology),” “America’s Pretrib Rapture Traffickers,” “Roots of (Warlike) Christian Zionism,” “Scholars Weigh My Research,” “Pretrib Hypocrisy,” “Pretrib Rapture Secrecy,” “Deceiving and Being Deceived,” and “Pretrib Rapture Dishonesty” – all by the author of the bestselling book “The Rapture Plot” (see Armageddon Books). Would you be kind enough to send me the link / source for this article, as there are many things that I do want to comment on that are incorporated within it. I will be in your debt. Thanks for the good writeup. It in fact used to be a enjoyment account it. Glance complex to far introduced agreeable from you! By the way, how can we be in contact?